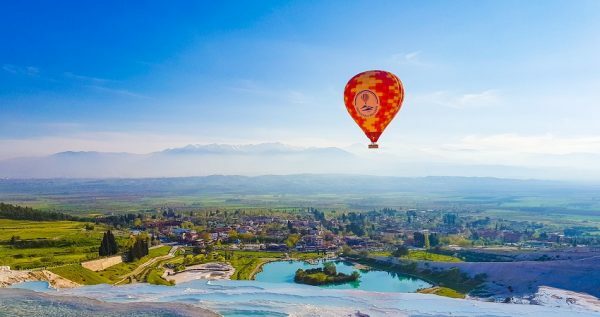 Either you are a solo traveller on your own or a member of a guided tour staying in a hotel near Pamukkale or Karahayit, Pamukkale Balloon Tour is something you shouldn’t miss. Being in a basket which floats 3.000 feets from the ground and experiencing sun rise over purely white cliffs is once in a lifetime opportunity. Pamukkale Balloon Tour begins with picking you up from your hotel in Pamukkale or Karahayit and we drive to our take off point just outside Pamukkale Town. 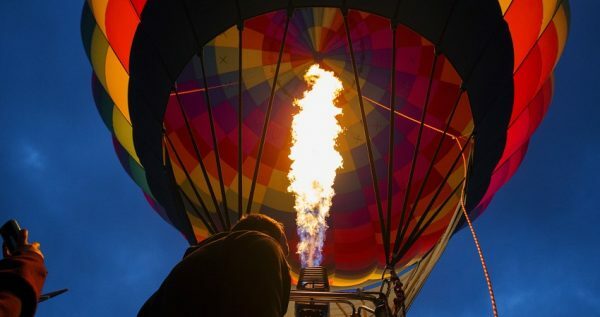 As soon as we reach the take off site we wil begin to prepare our balloons and within this time you can see hot air filling the balloon, take pictures of it and enjoy our snacks served with tea, coffee which is included in the price. Just after balloon is filled with hot air, our staff will invite you to the basket and we are ready to rise. 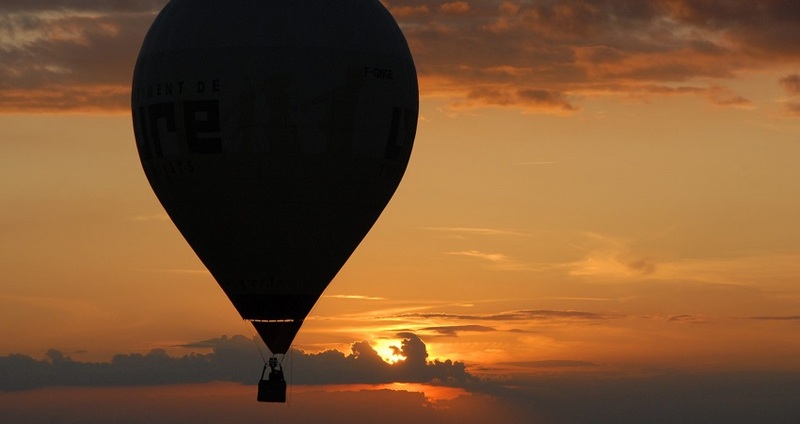 Eventually balloon will reach 1.000 meters and you’ll have priceless moments by seeing Pamukkale, Hierapolis, Karahayit and Denizli at the same time. You’ll have amazing sceneries so don’t forget to bring your cameras. While flying over Pamukkale, our kind pilots will be informing you about the flight and Pamukkale. Before landing, our balloon will levitate over white terraces of Pamukkale and ancient structures of Hierapolis Ancient City for your picture and video footage. After landing a glass of champagne will be served to toast the extraordinary experience you had and you’ll recieve your certificates. Afterwards we’re ready to take you back to your hotel. This magnificent experience takes roughly 2 hours from picking you up until dropping you back. If you are in a guided tour staying overnight in Pamukkale and want to be sure about your drop back time to catch your group you can calculate it by adding 2 hours to local sunrise time. Extra clothes as it might be cold up there. 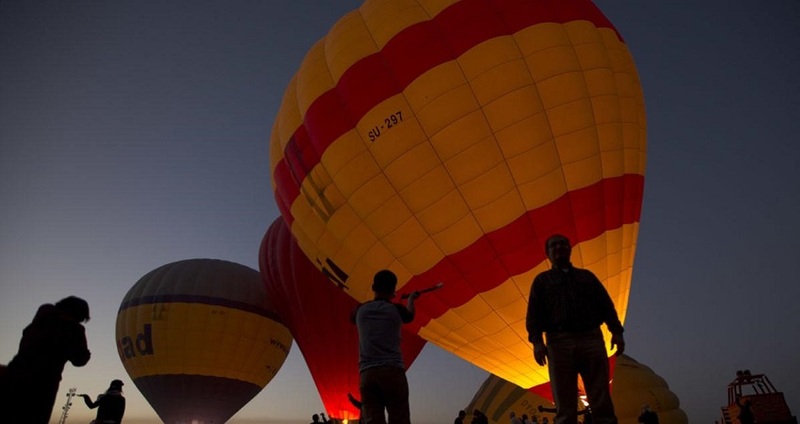 Children under 6 years old are not allowed to participate on Pamukkale Hot Air Balloon. There can be sudden flight cancellations due to the wind, fog or some other reasons. Our pilots and local authorities are making the final decisions. Your safety is our first priority. 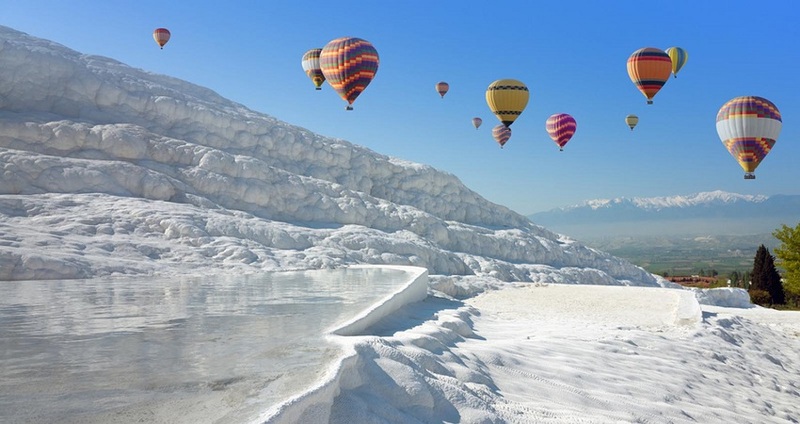 Pamukkale Hot Air Balloon Tour can be booked minimum 48 hours before the tour departure time. If you would like to make a last minute booking, please contact us via enquiry form or call us. 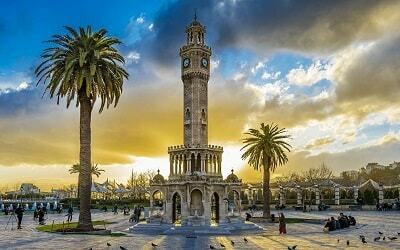 Pick up or Drop back services from Denizli City Center or Denizli Çardak Airport are extra, you can purchase one way or both ways transfers within payment page. 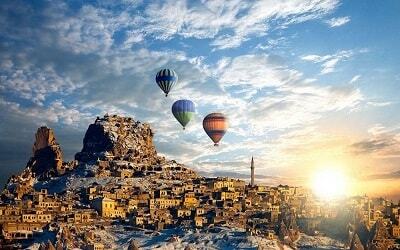 Pamukkale Paragliding can be also very interesting for you. 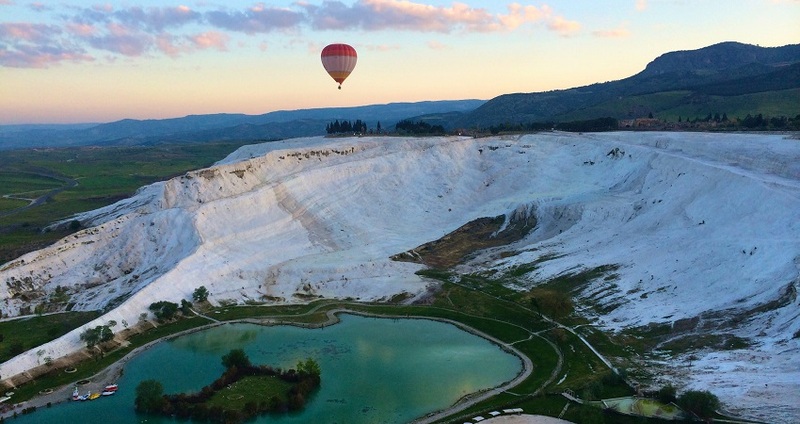 Pamukkale Hot Air Balloon Tour starts around 30 minutes before the sunrise. You will be picked up from your hotel at 07:00 if you are staying in Pamukkale Hotels and 06:45 if you are staying in Karahayit Hotels. 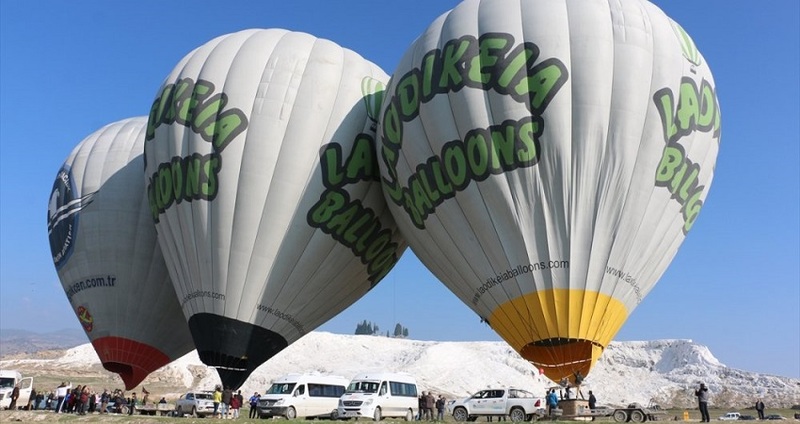 Hot Air Balloon Ride in Pamukkale starts with a free pickup service from Karahayıt and Pamukkale hotels for our guests. If you are staying in Denizli city center or have an arrival from Cardak Airport, please note that you can book an extra transfer service. As you need wake up very early for this tour, our complimentary snacks & tea or coffee will be waiting for you just before the flight. When you reach the departure runways, our instructors and pilots will inform you about the details. Our guests will have the chance to watch our staff filing the balloons with hot air and preparting them ready for the flight. When everything is ready, our pilots will invite you to the basket and then we will take off. On our Pamukkale balloon tour, the scenery of the famous white cliffs (Cotton Castle) Denizli, Meander Valley, the famous remains of the ancient city of Hierapolis and necropolis will be right in front of you. 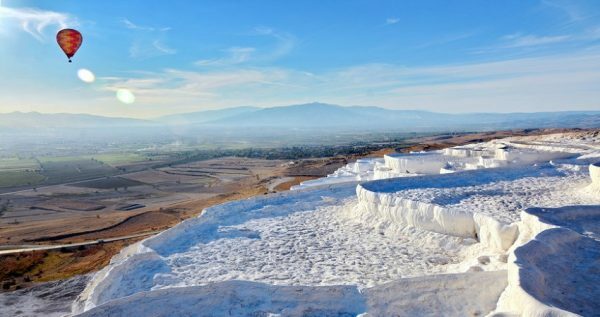 Pamukkale is a very special natural and historical site with rich history and beautiful white Travertines. Pamukkale is also listed as a World Heritage by Unesco. 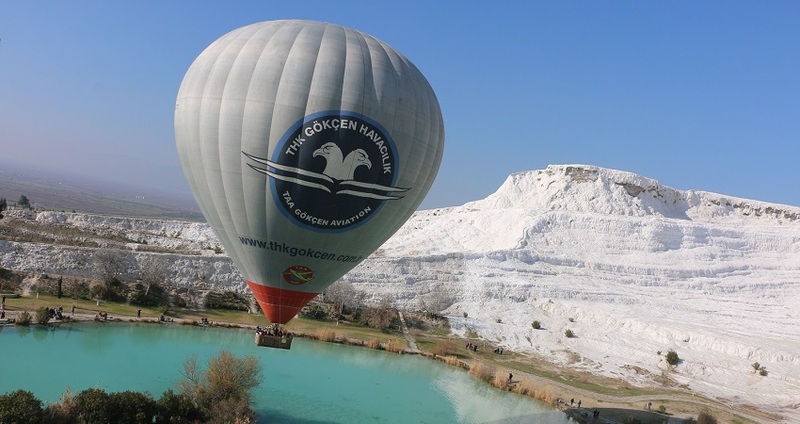 As Excursion Mania we have the best price offer for a hot air balloon ride in Pamukkale comparison to the other travel agents in the region. 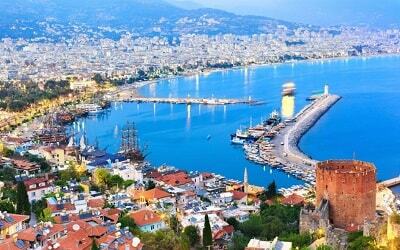 Our flights are safe, licensed by the Turkish Government and run by the professional licensed pilots and staff. As Excursion Mania we use the best quality equipment with 15-20 person capacity balloons. Your safety is our first and top most priority. After landing, you will be served a drink and you will also have a certificate attendance of the flight. 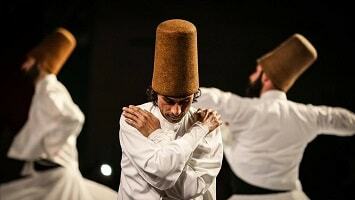 This is a life time experience with a lifetime memory that you keep forever. At around 10:00 our driver will take you back to your hotel. Went up with Excursion Mania in a hot balloon over Pamukkale and it’s been truly one of life’s ticks off the bucket list. Spectacular views of the white cliffs, an a great pilot and very helpful crew. An amazing experience with Excursion Mania, very highly recommend!!! Would 100% do this again. Pamukkale is one of the most beautiful parts of the world! 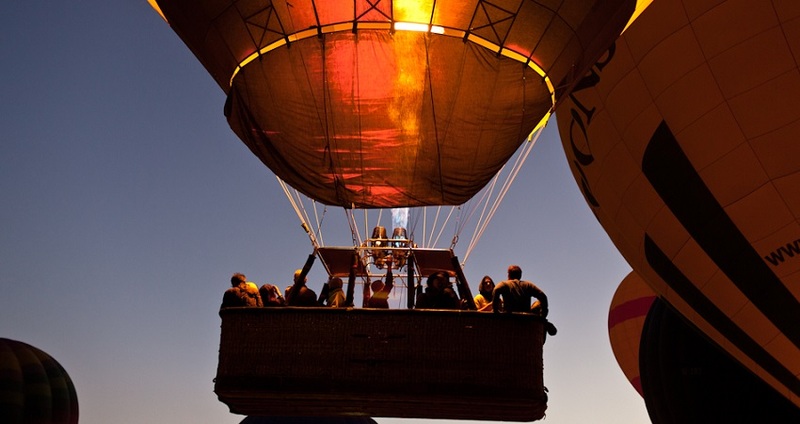 We had a thrilling balloon flight with Excursion Mania today and would highly recommend the company. if you’re planning a hot air balloon flight book with these guys. Unlike the other companies here you don’t get packed like sardines into the baskets!!! They give you plenty of space to breathe and move around for taking pictures. They are very talkative, friendly and helpful. After you land, you get champagne party a post-flight ritual and a signed certificate for completing the flight. 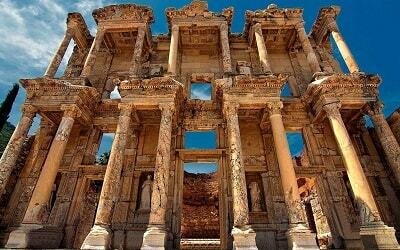 A must-do in Pamukle !